Sheeple is going to be featured on OpenFeint’s Free Game of the Day site today starting at 5PM PT for 24 hours! 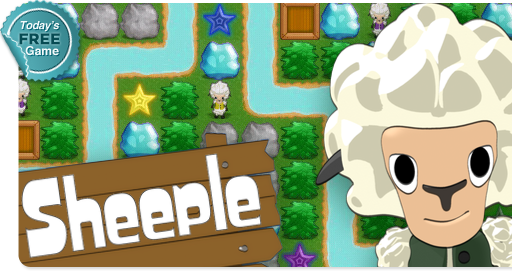 Sheeple is free for the next day, so please let everyone know! You can download Sheeple from the App Store here. We are working on another update that will include a brand new episode so stay tuned! What a waste of money. The game keeps rebooting itself at each level on iPad 2.